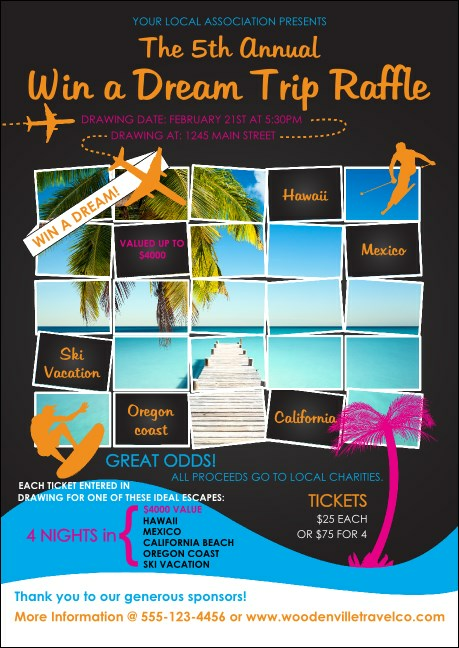 Put your pre-event promotions first in line for an advertising trip of a lifetime when you print Win a Vacation Postcards and send them out to your giveaway guest list in advance. Encourage your potential guests to pick from an incredible variety of skiing, swimming, surfing or just plain traveling vacations that they could win at your event! Enter your information in the template below! Find first-class advertising at TicketPrinting.com.